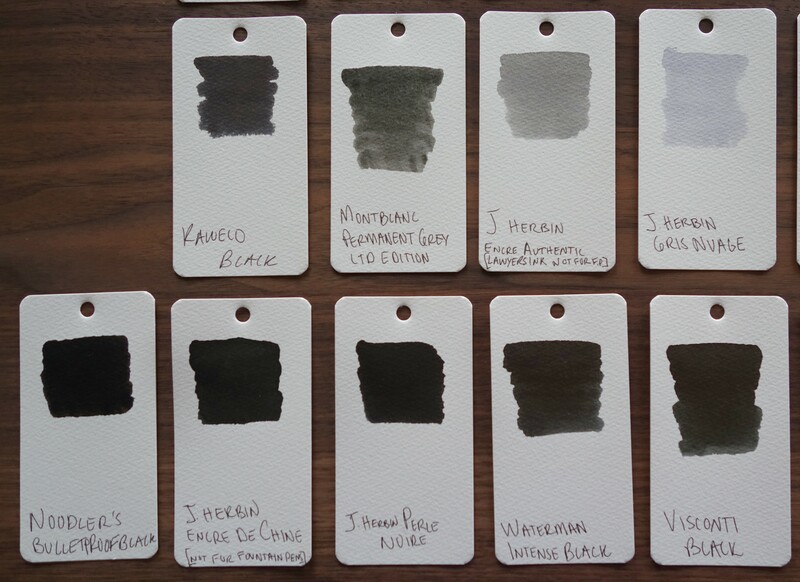 I don’t consider myself an ink person…I like ink but I like pens much more. 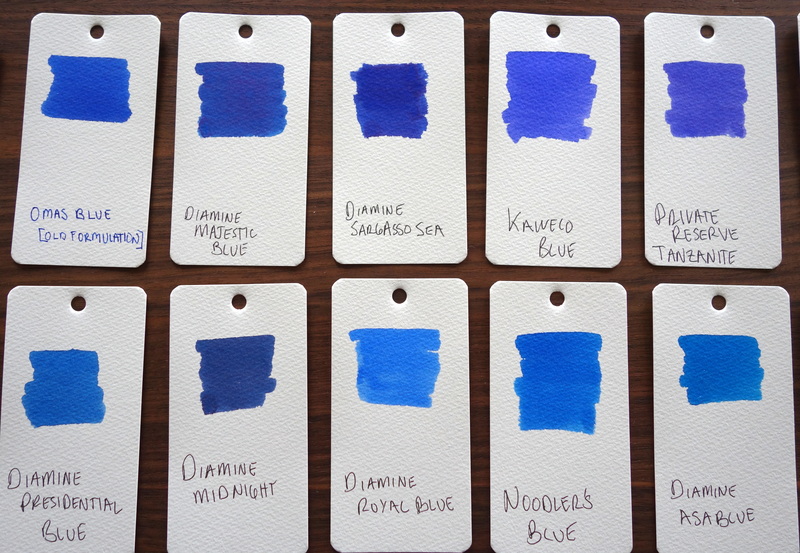 Boring old Waterman Serenity Blue (FKA Florida Blue) has been my go-to ink for vintage pens for a good while now but I have been finding that with dryer and finer nibbed pens it isn’t the best match. 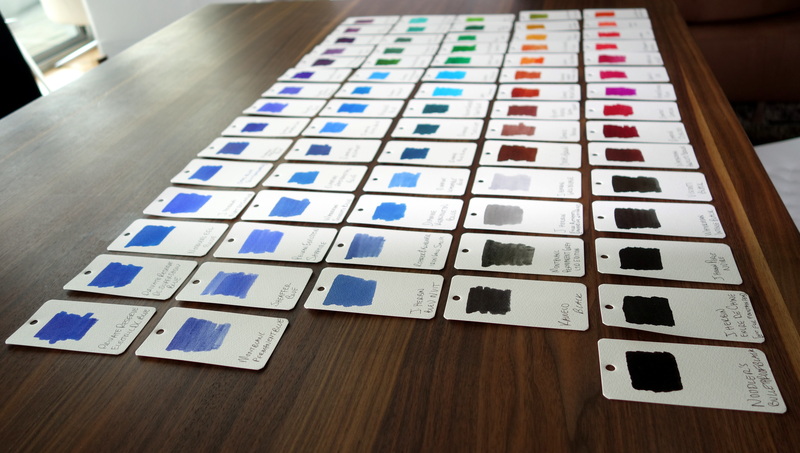 I had to find a safe blue ink with good lubrication and Diamine (with all inks in a pH range of 6-8) was the brand that came to mind. 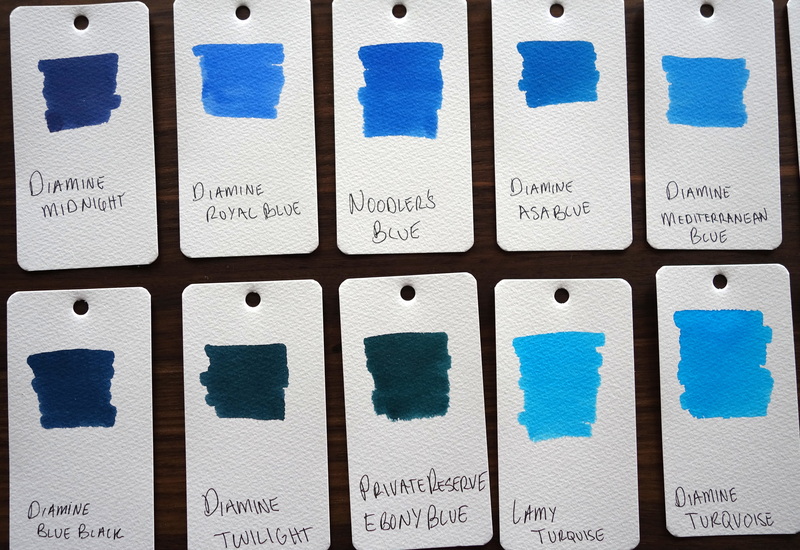 I haven’t picked a new blue yet but Diamine Majestic Blue and Diamine Asa blue are the ones catching my eye. Do you do that with a brush? Yep that’s it! Slipped my mind. The Diamine Turquoise looks good. Does it flow well on the narrow nibs? 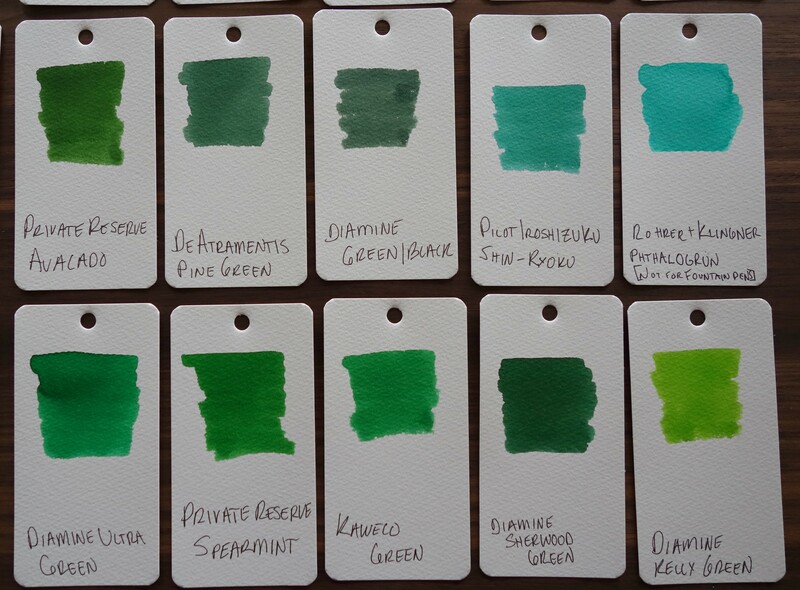 Diamine Turquoise has an excellent flow and does work nicely with narrow nibs and dry writing pens. It does however tend to feather and bleed on cheaper papers. 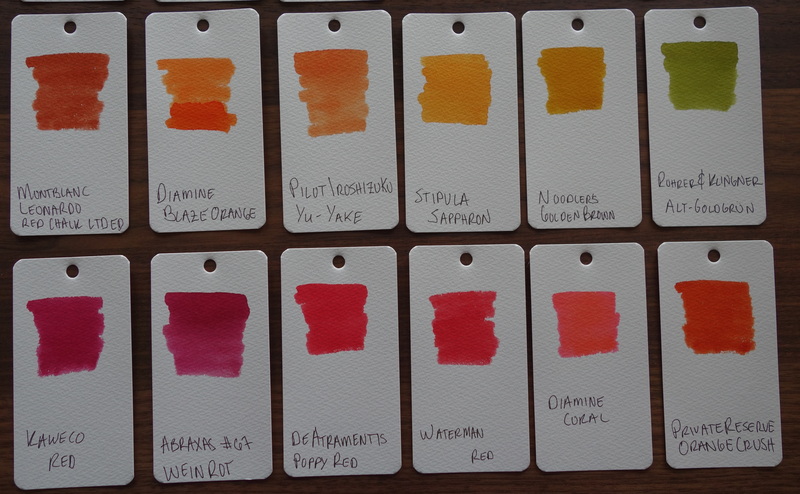 When you use this ink in a pen I agree that it looks more orange brown but when you put inks on a cotton swab they tend to look quite a bit lighter…though I admit that the camera seems to have made it look a bit more red…in person my sample looks like a true orange. Great review, it’s nice to see direct comparisons of so many colors. 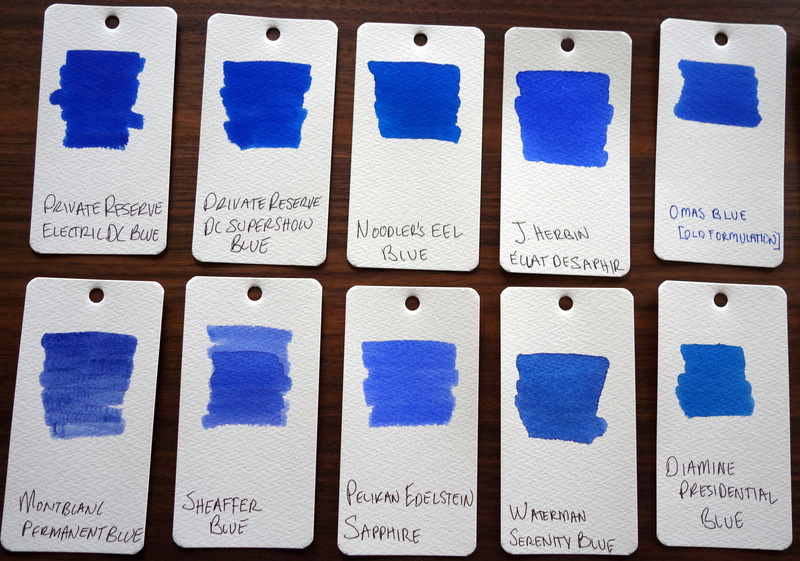 I would recommend you try Noodler’s Bad Blue Heron or Bad Belted Kingfisher, both excellent everyday blues that might fit your needs. Liberty’s Elysium is also an amazing vibrant blue from Noodler’s that I would suggest checking out. Thank you for your suggestions and kind words! I appreciate it. 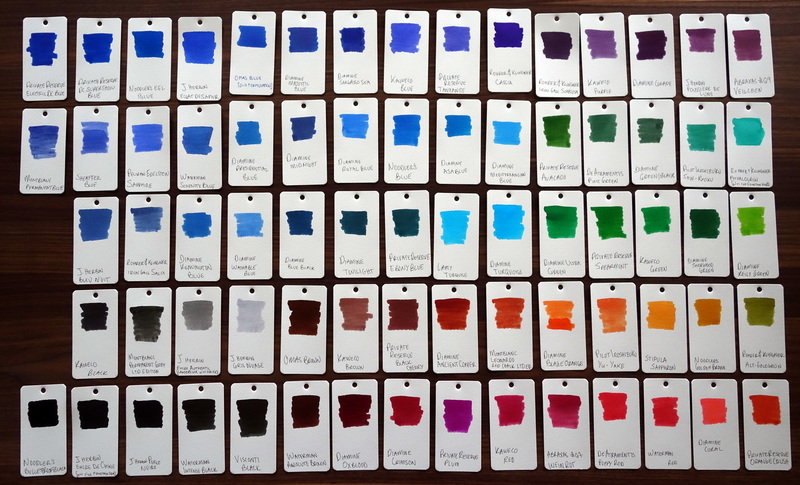 I love Noodler’s; they are by far the most interesting ink manufacturer out there. 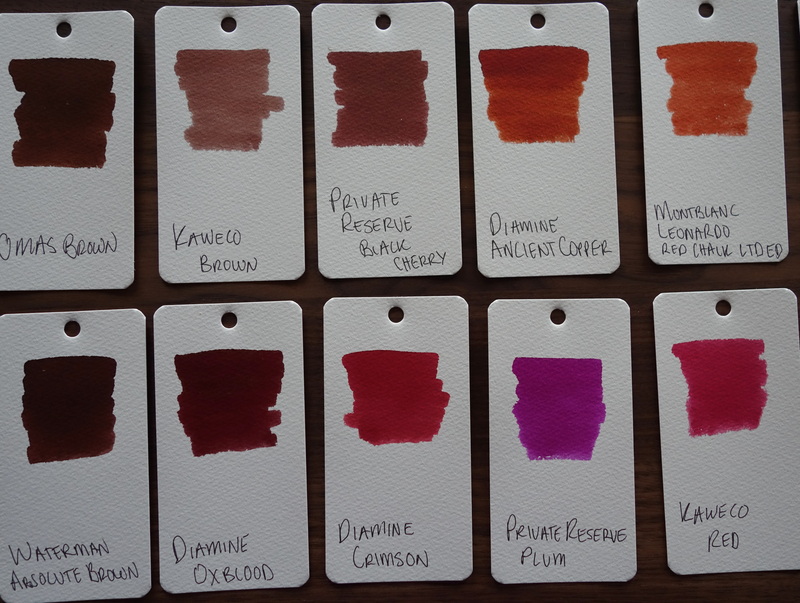 I will add those two inks to my next ink sample purchase.